This film is set in and around Lashio in Northern Shan State in Myanmar, a region populated by many ethnic Chinese. Some are later immigrants, while others are remnants of the retreating Nationalist Army – posted there as guerrilla forces after the main force retreated to Taiwan. Conflict between rebels here and the Myanmar central government spilled over into Yunnan province recently when a bomb dropped by a Myanmar Air Force plane killed some villagers there. The film deals with a very current issue as the civil war in Myanmar between government forces and northern ethnic rebel groups continue. China has been struggling to outdo the US in wooing the government and the main opposition ahead of general elections there next year, although illegal border trade with China is believed to be the main supply line for rebels in the north. Chinese business people are also responsible for a lot of the illegal logging and mining taking place in the region (despite getting permits from northern rebels, many of them are aware that logging is illegal in Myanmar). This had the unfortunate effect of raising my expectations for the film, as despite being located in a fascinating part of the world, I felt that the “love story” wasn’t done in a convincing way. The female protagonist returns from China where she has married a substantially older man, from whom she seemingly wants to escape. She travels home for the death of her grandfather, taking him funeral clothes from his hometown in Yunnan. She is driven home by a farmer-turned motorcycle driver, who is not very successful at his new job. She meets him again when he takes a message to her from the town, and eventually she proposes that they go into the meth business together, as her cousin is in the business and can set up deliveries for her. They fall in love while working together and both start using from their own supply. Eventually they get caught on a delivery and the male lead flees the scene, leaving her with all the blame. He then flees back to his rural village and appears to be in great mental trauma. The process of the female lead stripping the male lead of his innocence was portrayed in montage style, so we end up feeling distanced from the process which would have drawn us in and made us identify with the two of them. The girl’s life in China is never really presented in a way that allows us to understand in a visual sense why she comes back and what motivates her to get involved in the drug trade, as we just learn about her treatment in China through phone calls with her mother in law. The film is beautifully shot and the issues it deals with, the rise of amphetamine in Myanmar and Southeast Asia and the poverty of Chinese ethnic groups in Myanmar, are interesting, although they get a more interesting examination elsewhere. Check out the references below for a more interesting analysis on how the meth trade is affecting China and for more news on Myanmar and South East Asia from a news site run by exiles from Myanmar. That said, I thought that certain scenes were moving, like the death scene of the grandfather at the start of the movie and the bookend-style scenes on the male lead’s family plot at the start and end of the movie. The film does achieve its end in the sense that I was convinced of the frustration felt by these people and that there is no way out for them other than death from starvation or criminal behavior and prison, however, I felt this could have been achieved with a lot more pathos if the characters and the love between them had been more three dimensional than the “romantic montage” allowed for. 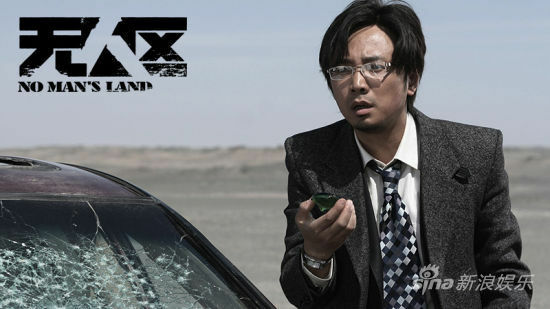 This is a guest post from blogger Garrett Dee which offers a different perspective on a film I reviewed a little while ago, Jia Zhangke’s A Touch of Sin. Check out Garrett’s blog here. Devoid of musical background and utilizing the now smog-covered skies over much of China as its primary color scheme, Jia Zhangke’s most recent film A Touch of Sin presents to the viewer an aggressive portrayal of modern China in which the average citizen fights a sometimes life-or-death struggle for their societal niche. Spanning a series of four short vignettes, each focusing on a single character and based (partially) on real-life events, Jia’s engaging film seems meant to be viewed as a loosely-fantastical interpretation of a Middle Kingdom in which what has been thought of as a traditionally communal society has become atomized by wealth, power, and frustration. It is the casual method with which Jia peppers the plot with violence, which is neither discussed or lingered upon for too long a frame, that appears more crucial than the violence itself. I am reminded in a way of the titular character of the novel American Psycho, who intersperses his daily routine with random acts of murder in such a nonchalant way: a killing of a homeless man during a coffee break here, murdering a prostitute before going to a nightclub there, and so on. Jia’s film’s violence, however, seems to want so say something about his homeland in that very circumspect way that many Chinese artists (see, Mo Yan and company) seem to have perfected given the limitations under which they labor. In most of the vignettes, the characters are only driven to violence after suffering some sort of injustice. This seems in part, though, due to the ubiquity with which violence is dealt out in Jia’s China, the young woman in particular suffering through several bouts of violence with no ​visible reaction from onlookers, who have no apparent qualms about a woman being forcefully thrown against a car and wandering into an inexplicably unattended snake pit. The exception to this theme of flight from some kind of persecution seems to be the second vignette, the story of the young man returning to his family village to celebrate his mother’s birthday before murdering a woman and bystander in order to steal the woman’s purse. 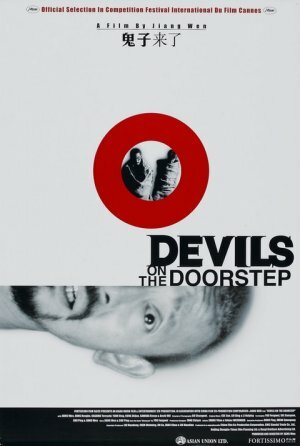 Based on the factual incident of Zhou Kehua, a gunman suspected of murdering nine people before he was finally gunned down by Chinese police in 2012, his acts of brutality appear to be somewhat cathartic, a symptom of the same restlessness that has driven him from city to city in such a driftless manner. Indeed, this listless mobility weaves into the narrative throughout the final three vignettes and seemed to be one of the strongest unifying themes of the film as a whole. The characters seem to have little compunction against abandoning their place of abode for somewhere new, whether out of necessity or, in the case of the Zhou character, for the sheer desire to be an abandoner of past and family in favor of something new. China is indeed undergoing the largest mass migration in human history, and the way in which these characters constantly reshuffle their lives around jobs and lovers, alighting at their family homes before departing for parts unknown, seems realistic when set in this context. The order in which Jia chose to place each of these vignettes appears to form a kind of meta-narrative, descending from the high vantage point of characters who proactively seek redress and agency towards a state of utter hopelessness in the face of a bleak future, driving them towards either death or a profound detachment. The final scene, in which the young woman, who we last see as having cut her hair short and fabricated a new identity, stumbling aimlessly through the barren landscape before joining a crowd of blank faces gazing at a puppet show ends the film on a hollow, bitter note. This is, after all, Jia’s puppet show, one in which he cruelly dangles his marionettes in agony before cutting their strings and smashing them on the ground. In Jia’s version of China, though, the real puppeteers seem to be the most wealthy and powerful, whose fortunes and statuses allow them to not only afford lavish lifestyles in significant disparity from the meager existence of the various protagonists, but also permit them to do as they please with impunity. However, the initial vignette, is an answer to this problem, a fantasy in the style of the 2011 film God Bless America in which J​ia ​gets to have some darkly humorous fun of his own as his protagonist​ sets about​ literally blow​ing the heads off of those who have wronged him. 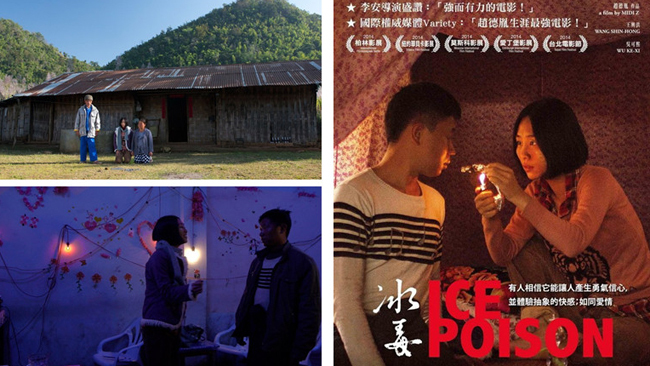 Jia’s fascinating film serves his homeland up to audiences as a cynical, lawless society in which violence permeates daily life and wealth is the only respected authority until it annulled at the barrel of a gun or the edge of a knife. Jia stays away from explicit criticism of the policies that have led to this sort of situation, but the implications of the desperation and restlessness with which he portrays the lives of his main characters suggest these are but a microcosm of problems on a macro scale. This film is set in a small Chinese town called Guajia (hang up armor) under Japanese occupation during the second world war. Two prisoners are mysteriously delivered to a Ma Dasan, a man who lives in the village, at knife point by a stranger who does not reveal his face. Ma Dasan is told to hold on to the two prisoners, a Japanese soldier and a Chinese translator, until “they” come for them and to make sure they don’t escape or die, or Ma Dasan, played by Jiang Wen, will be killed. Slapstick comedy ensues as Japanese soldiers come into the village several times and very nearly discover the prisoners, Ma Dasan is picked by the villagers to kill the two prisoners, but can’t do it so the village sends to the nearest town to hire a professional killer who also fails to carry out the task. All the while the villagers have built up somewhat of a rapport with the Japanese prisoner through the translator, who deliberately mistranslates between the two according to his own best interests. I found these slapstick elements and the “comic” mistranslations all a bit trite and pantomime-like. The film goes some way to humanizing the Japanese soldier in captivity, as we learn that he is just a farmer like the villagers in Guajia. The slapstick comedy in the film is also divided between Japanese soldiers and the Chinese peasants – with the same actors used to play two hapless Japanese soldiers as play two of the main villagers. The resulting idea that comes across is that these are simply bumpkins playing at war – which is possibly the closest the film comes to a nuanced view of war. When the villagers draw up a contract with the prisoner, stating that they will return him to his unit in exchange for food for the village, we are presented with the “baddy” of the piece – the unit commander, who is the incarnation of the Chinese (and Western) impression of Japan’s wartime ideology. In a climatic scene in which the unit commander “reveals his true colors” the whole village is slain and burned to the ground while Ma Dasan is fetching his wife Yuer from her mother’s house to get their share of the reward for returning the soldier. While the scenes are not quite as graphic as the bayoneted fetus in Black Sun: The Nanking Massacre, there is the murder of the elderly village head, a woman and a young boy and the human side to the Japanese soldier in the village we saw before disappears. The cherry on the cake is when the unit commander stops the Japanese soldier who was taken prisoner from committing seppuku by announcing that he has already received notice that the war was over, but had let his soldiers perpetrate this massacre before telling them. This seemed to be an attempt to fan the flames of Chinese anti-Japanese sentiment and lacked the breadth of nuance of films like The Railway Man which tries to contrast war mentality with post-war mentality, or like the Human Condition (《人間の条件》) film trilogy. In the Railway Man, a man confronts the Japanese translator that was party to his torture long after the war is over and they eventually come to be friends. Human Condition on the other hand documents one man’s journey from enthusiasm and seeing the colonial project as a humane civilizing mission which has been tainted by violent and corrupt officers on the ground to a realization that the problem is with the entire idea of colonialism itself (see more here). I didn’t feel that this film achieved its goal in this sense, given that this is what Jiang has stated he was aiming to achieve. There are hints that it was trying to however, for example, as the villagers of Guajia are being killed, there is a broadcast from the Emperor of Japan, announcing Japan’s decision to lay down arms and making reference to the atom bombs dropped on Hiroshima and Nagasaki. Another interesting aspect of the film was the portrayal of the Kuomintang (KMT) or Nationalist army. Ma Dasan returns to the local city where the Japanese soldiers are being held in detention after the war and he goes on a rampage with an axe, killing many prisoners. The KMT leader then makes an impassioned speech about how much he too has suffered and compares this to the suffering of Japanese people themselves. When Ma Dasan is executed by Japanese troops on order of the KMT he honks like a donkey when asked for final words. This denouement sets the stage for the Communist takeover of China – as the Kuomintang are seen to be simply pawns of the Allied Forces and overly friendly to the Japanese. That the film portrays the KMT in government during the victory over Japan (albeit as puppets of the allies) and the lack of overt anti-Japanese sentiment among the villagers, who are also portrayed for the most part as ignorant bumpkins, may be why the film was banned. Overall this film is watchable in the same gung-ho way as many older Western movies on German prisoner of war camps. There is no deeper level of analysis here and it is a bit of a crowd-pleaser. 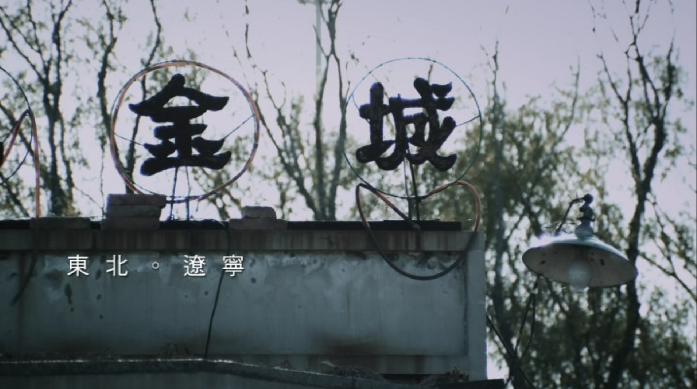 A Touch of Sin is a film by Jia Zhangke (賈樟柯). I’ve only seen Platform (《站台》) by him before, so am unfamiliar with the majority of his work. The Chinese title of the film differs from the English title, in that the Chinese means literally, “fate appointed by the heavens,” whereas the English title has a more Christian ring to it, although I read that it is apparently a nod to the English title of a martial arts film called A Touch of Zen (《俠女》). I heard about this film on the Sinica podcast, where it was described by a critic as a Coenesque dark comedy. When I heard Coenesque I was thinking Burn after Reading, The Hudsucker Proxy or Fargo, not No Country for Old Men, but the film resembled the latter more than the Coens’ out-and-out comedies. Despite this, I thought many aspects of the film were funny, especially the comparison between Lü, the hotshot Beijing lawyer and the ruthlessness and uncouth spite of the “simple” people of the West of China. For this reason the climax of the movie, in which Lü suddenly grows a conscience was a little forced for me, and took away from the idea that despite his education and his sophisticated life in the city, he is no different from the extortionists and bullies he meets in the West of China, even though he thinks he is, which had been the underlying premise of the film in my eyes up to that point. Sadly the director feels the main character needs redemption, and he sacrifices himself selflessly when he could have gotten away, which seems a little bit of a stretch for the character, as we know him, up to that point. The film has a little bit of the character of Yu Hua‘s ‘Leaving at Home at Eighteen’ (余華的〈十八歲出 門遠行〉) but all that grit is lost to the melodrama of the ‘brave self-sacrifice’ trope that is typical fare in Chinese films and crime dramas. The villain of the piece didn’t have any of the gravitas or psychological depth of Javier Bardem in No Country for Old Men, and by the end of the film we’re left confused as to his motives, as he neither seems purely motivated by money or psychotic enough for his desire to kill being about anything more than money, which results in a two dimensional traditional pantomime villain role, instead of the potentially more nuanced role i felt the character could have been given. The other characters from the west were more believable, including the comic scene where one of the falcon dealers is hammered to death by an innocent-looking mentally handicapped rest-stop resident. In this film, many of the characters featured are “animalized humans” as Cary Wolfe puts it, which makes the title a play on words – as in there are no people in this place, only animals masquerading as humans – they have been reduced to fighting for survival. One scene that highlights this, is the scene in which Lü is stuck behind a truck carrying straw, which results in a confrontation, in which one of the men in the truck pisses on Lü’s car, like an animal, displaying its superiority . What makes Lü’s emotional journey in the film a little incomprehensible is that his behaviour towards the denouement of the film is at odds with his insistence that the only difference between man and beast is that man can make fire. This is the moment in the film when I thought he was going to set himself alight, but ended up just setting the truck alight with him inside it. I wasn’t sure how his thought process turned towards redemption, as he had previously rationalized all his actions on the basis of survival. Why then does a country bumpkin girl’s attempt to save his life, stop him from abandoning her, when he had been deaf to her pleas before. One possible explanation is that it is the only way that Lü can see himself as different to the falcon dealer, and as more than just an animal. The falcon dealer can thereby be seen as a mirror for Lü, in which he sees his true nature, from which the only escape is the final gesture of self-sacrifice.